I chose these colours as we had a cold winter and I often saw frost around the stream we back onto. 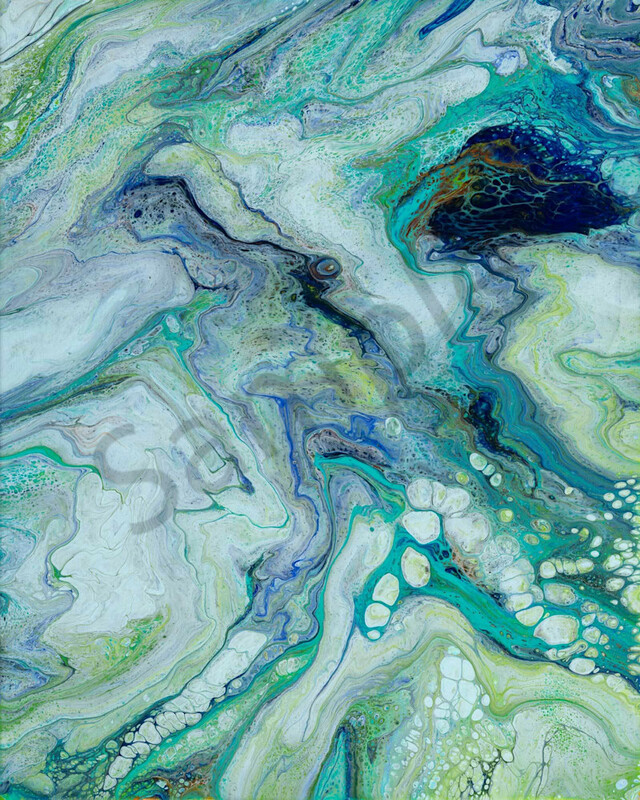 I love how the blues, greens, copper and white; eddy and circle around the canvas in this work. The little river pebbles and rocks gleam as the sun's rays bounce off them, hitting the blue and green of the stream on this cool winter morning, pushing the frost back.